Do-it-yourself Wedding Invitations kits are elegant. They are easy and fun. 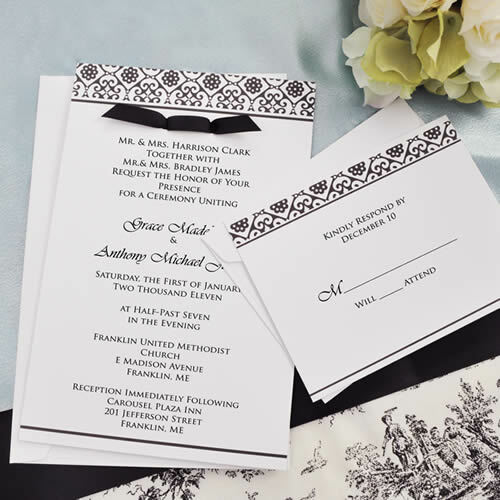 Save money on your Wedding Invitations with our kits. DIY stands for Do It Yourself. This saves you money and it is easy to do. Our do it yourself Wedding Invitations look professional and are quite popular.